Today I would like to tell you about crochet headband. You know summers season is ending! 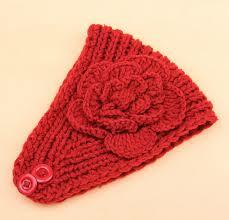 This fall season I have loved wearing and designing headbands! I think headbands are such sophisticated pieces that not only help keep you warm, but also make such a stylish fashion explanation! At the beginning of the fall season, I designed a three part headband series that included my “Triple Luxe Headband” and my “Black & White Knotted Headband”. Now, I am excited to demonstrate you the last headband that I made. My last headband name is ”The Twist Headband”. The flexion adds such a beautiful fold to the cowl and allows for two dissimilar headband patterns to be displayed. 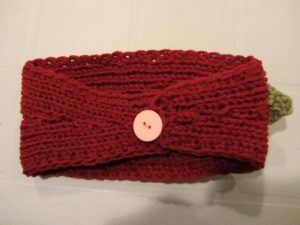 With this in mind, I wanted to design a headband with a flexion to it too! 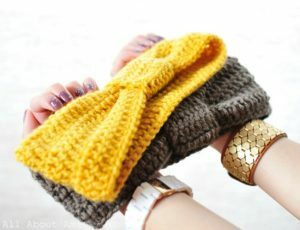 Crocheting the actual headband itself is extremely easy as it is one long stripe. I used my 6.5 mm Clover Amour hook and used basis single crochets to define the length as I went. If you’re not known with this crochet technique, you have to check it out as this fulfils the need to do a series of chain stitches in the beginning. 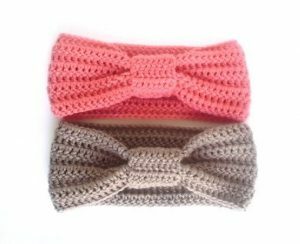 It is very significant for this crochet headband in special since you determine the length right off the bat and you can measure it around yourself after you complete the first line. 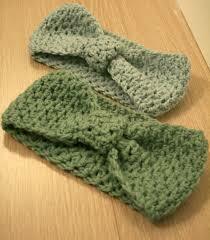 It also gives a looser and “stretchier” feel to the crochet headband as chain stitches do not allow much give.